Prophy mode auto cycles with Tap-On Technology are designed to improve ergonomics by reducing foot pedal usage. Prophy mode auto cycles automatically alternate between air polish and rinse without a need to touch the pedal. Multiple studies have shown that air polishing has certain advantages over traditional rubber cup polishing including improved time efficiency. Finer water control allows for precise and convenient adjustment on the handpiece to the preferred setting. Automated Purge Function enables you to do another task while the system flushes and facilitates adherence to infection control guidelines. 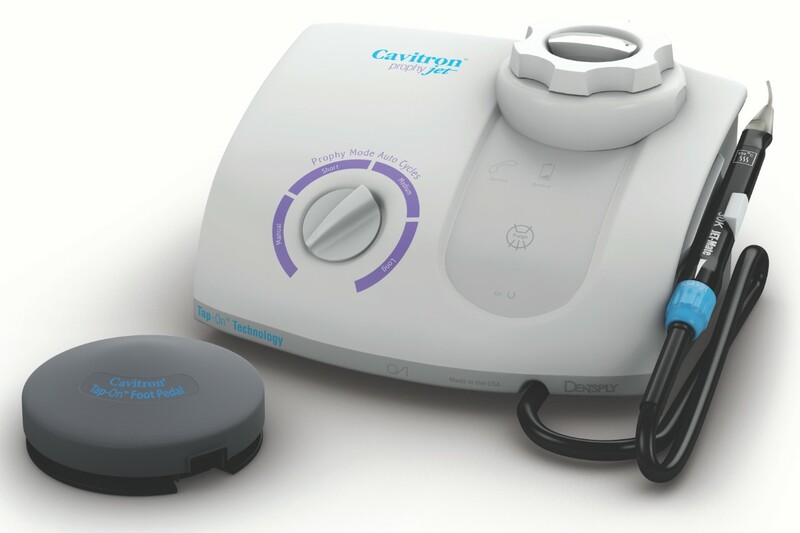 Click the button below to add the Dentsply Cavitron Prophy Jet Air Polishing Prophylaxis System to your wish list.